Mining is a hazardous work environment. There is a risk of death, which is why miners must wear protective gear and follow safety guidelines. One of the most dangerous activities for miners is welding in a closed environment – especially underground. Even if all the safety rules are followed, the welder is in constant danger, because a spark could set off an explosion. Therefore, welding is usually done in locations where there is ample space. However, when the mine is being built, welded metal arcs hold the entire structure of the mine together. They keep the ground overhead from collapsing down into the mine. That is when miners face the dangers of welding in a cramped enclosed area. In order to protect oneself while welding, safety must be a priority. An electric shock can occur if you touch two metal objects that have a current between them. High voltages of electricity can cause major injuries, or even death. This is why it is important to avoid touching any metallic object directly, while welding within a mine. It is also necessary to insulate yourself from the ground, to help reduce the risk of suffering from an electric shock. Additionally, since water conducts electricity, you must remember to wear dry clothing that will help protect you from electrocution. Welding fumes can be extremely dangerous when inhaled in large quantities. Since mines usually have an air shortage, the gases emitted from welding procedures can become twice as dangerous in the small confined spaces. To help protect you from inhaling excessive fumes while welding, there have been exposure limits set by various agencies. Based on these limits, there should never be an overexposure to hazardous gases, because it can be injurious to your health. Furthermore, proper ventilation should be provided within your work area such as an exhaust system or fan. Welding creates high temperatures conditions, which may lead to fires or explosions. To avoid any chance of fires, it is best to remove all flammable materials from the welding area. As a rule, every workplace is required to have fire extinguishers and alarms on site. This requirement ensures worker safety in the case of a fire. If the mine contains flammable materials that cannot be removed, a second person should be appointed to watch the procedure to watch the welding sparks. Wearing the proper gear is important for miners due to their high risk work environment. While welding, you should be fully clothed and avoid rolling up your pant cuffs or sleeves. You should wear a welding helmet and safety goggles, which prevent sparks and debris from injuring your face or eyes. Thick leather boots and gloves should be worn to protect your hands and feet from the welding heat. Additionally, it is best to wear protective earmuffs to avoid hearing loss caused by the loud noises in the mines. 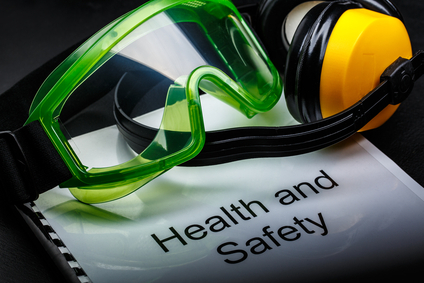 The right safety procedures can help protect you from severe welding related injuries or death. Therefore, miners and their employers must make safety a priority. If safety guidelines are followed, the risks of welding underground in the mines can be reduced.